The very epitome of mid-century extravagance and wealth, Hearst Castle in San Simeon sits atop a hill along the Santa Lucia Range. The Castle offers dramatic — and romantic — sweeping ocean views. Made up of several impressive mansions, the estate was designed to house owner William Randolph Hearst’s great art collection. A major architectural feature of the estate is the outdoor marble Neptune Pool. Between 1919 and 1947, William Randolph Hearst transformed a huge swath of ranch land into a retreat he called La Cuesta Encantada – Spanish for “Enchanted Hill.” When he finished, La Cuesta Encantada had 165 interior rooms and 127 acres of gardens, terraces, pools and walkways. 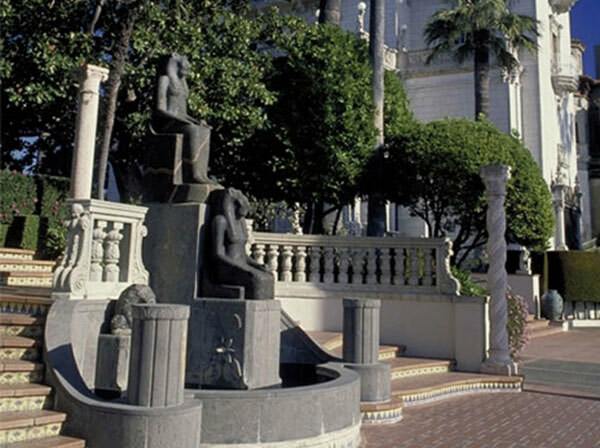 A-listers and high society folk flocked to Hearst Castle in its heyday in the 1920s and 1930s. They often entertained themselves on the grounds while Hearst tended to business matters during the day. The Castle was renowned for its lively social functions in the evening. The estate, the grounds, and the owner himself all leave quite a Great Gatsby-esque impression. 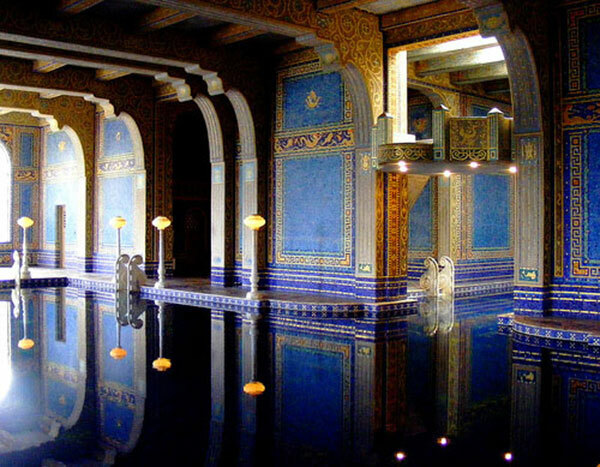 For an easy, breezy Hearst Castle experience, book our Hearst Castle Package. The package includes accommodations at the Adelaide Inn and a castle tour rolled into one great price. You’ll also receive transportation to and from the castle and a deli-style lunch to enjoy on the estate grounds. If you make your own way to San Simeon and Hearst Castle, be sure to check out the Hearst Castle Visitor Center, where you can buy a tickets for one of their daily tours, grab something to eat and shop for souvenirs.